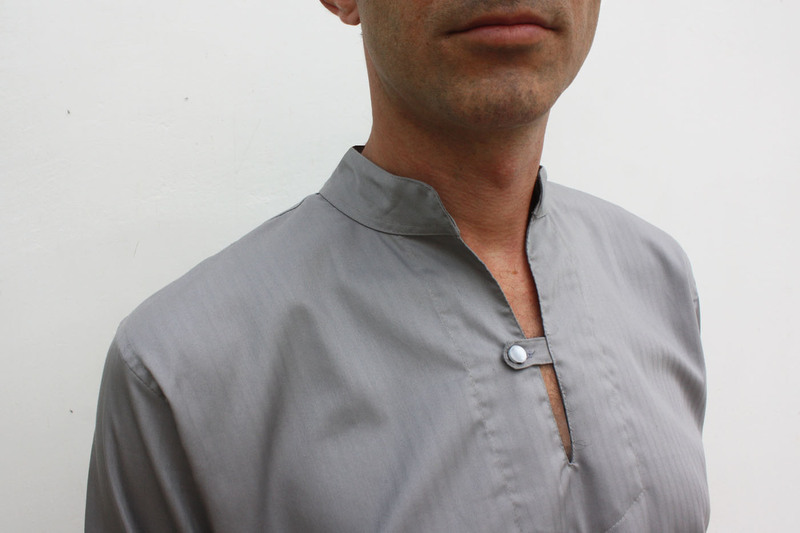 Grey kurta, made out of thick cotton. 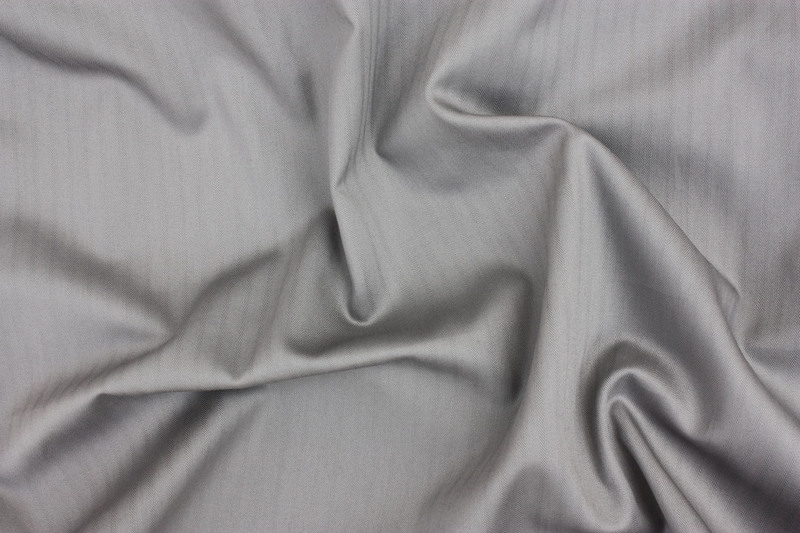 Stripe pattern on the frame, tone on tone. 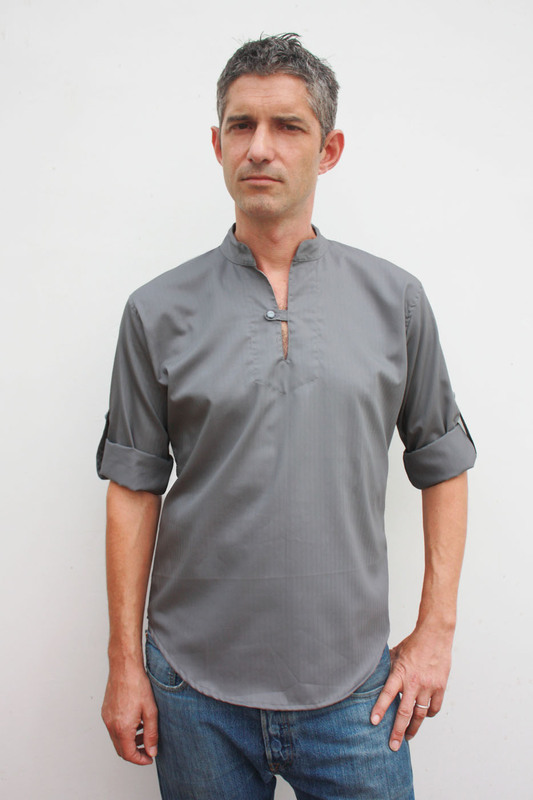 Inspired by Indian traditional kurta, slightly fitted. 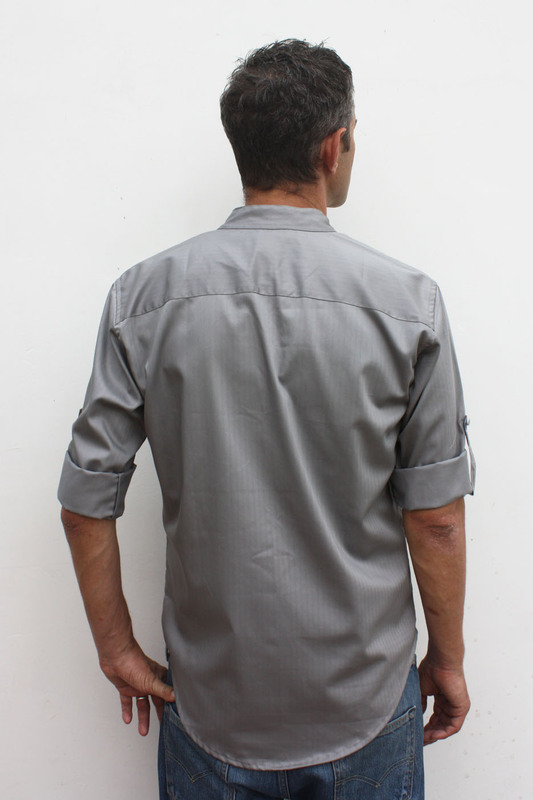 Roll up sleeves with button tabs.